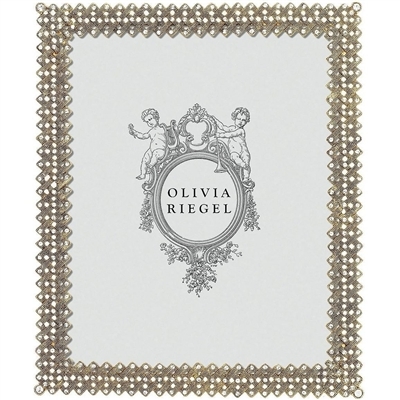 Reminiscent of a time of elegance past Olivia Riegel's GOLD LATTICE is strikingly luxe to the eye and the hand. Hundreds of hand-set clear Swarovski® crystals adorn a gold tone metal finish piece. Rich moiré silk back. Dual easel back. Elegant bevelled glass lens. Signature gift box. 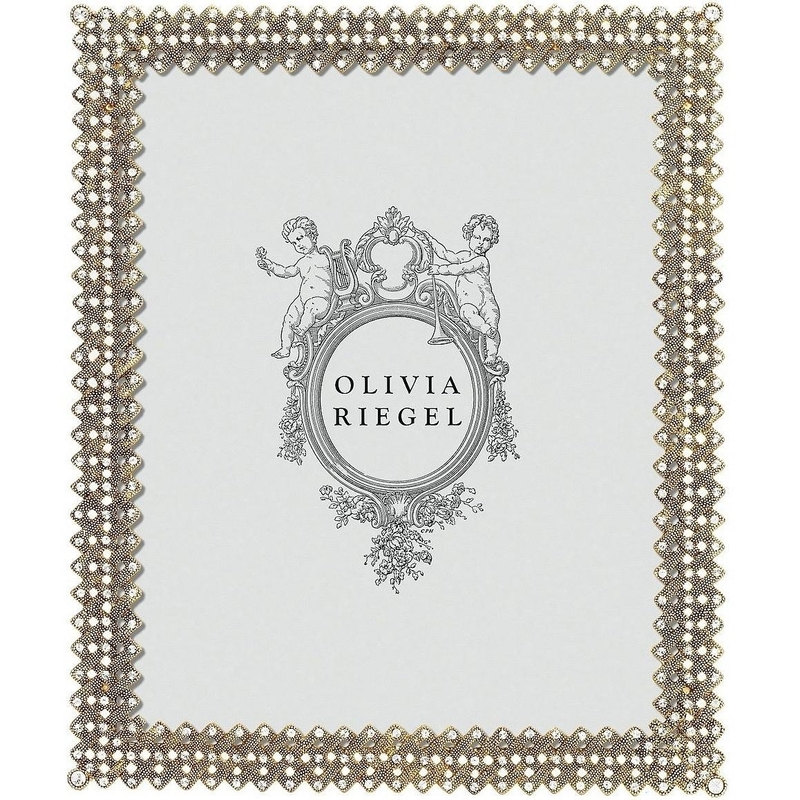 An original design frame from the Olivia Riegel® collection. Cast pewter lattice pattern with hand-set Swarovski® crystals in a textured gold tone metal finish. Elegant moiré silk back with easel for vertical or horizontal placement.